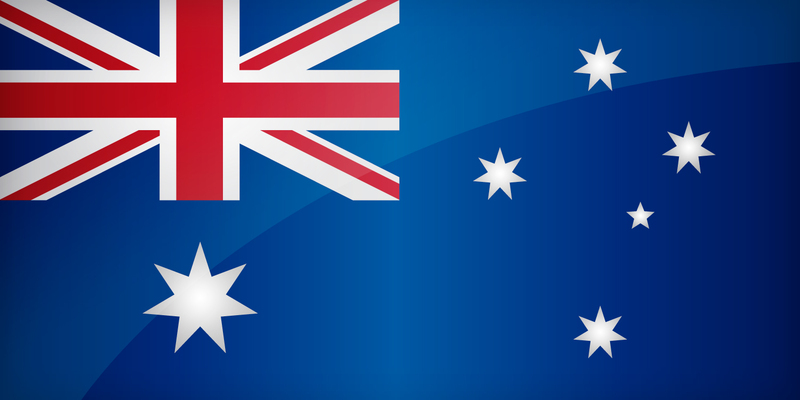 The flag of Australia, created in 1901 to the creation of the Federation, is finally adopted in 1954 by the law. Three components are represented: the flag of the Union Jack, the Commonwealth Star and the Southern Cross (also known as Crux). Located in the upper quarter next to the staff, the Union Jack was a precondition for the development of the flag: all components of the Commonwealth should be referred to respect for British authority. The Commonwealth star, just below, features a tip for each of the six states (South Australia and Western Queensland, New South Wales, Tasmania and Victoria), and the two territories that make up the country (Northern Territory and Australian Capital Territory). The flag is completed by the constellation of the Southern Cross (five stars), further from the staff. This latter is used to spot the Southern sky in the southern hemisphere (where the North Star is not visible). You can download it in different sizes, in a decidedly modern design for your personal use, or for wider use. Australia's flag is available in 4 different sizes. Resolution: Icon Size: 200 x 100 px - Blog Size: 500 x 250 px - Website Size: 800 x 400 px - Wallpaper Size: 1500 x 750 px. 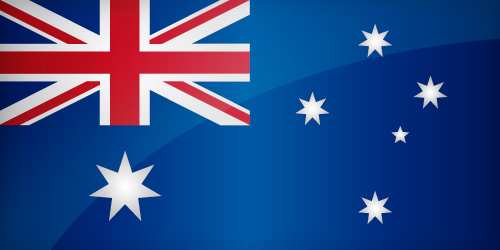 Keywords: Flag australia wallpaper, Australian, Commonwealth of Australia, National australian flag, banner, pictogram, country, icon, Australia icon, international, Canberra, Sydney, Melbourne, Brisbane, Australia. This page has been viewed 12728 times.